Our Micro Grants support individuals and small voluntary groups to improve the lives of the people in their communities through volunteer led activities that aim to make a positive difference. We can fund a wide range of items including volunteer expenses, publicity costs, equipment, room hire, materials for activities, etc. Contribution to fees of tutor or sessional workers can be considered when there is a clear need to bring additional expertise to an activity. The grants can be used to extend current activities or to introduce new ones. Please note, we prefer to fund projects that are predominantly supported by monies received from the Fund. As such, the funding request must be at least half of the total cost of the project. Individual people who are active in the community (sometimes called social entrepreneurs) or informal groups with income of under £2,500 in the past 12 months or who are new to funding. Priority will be given to individuals and informal groups who work in more deprived communities or have new and innovative ideas to improve the lives of local people. We can only accept one application per individual/informal group during each calendar year. • Be community led i.e. local people are involved and support the idea. • Make good use of local resources such as volunteers or community spaces. • Be open to different people from the community and have a clear community benefit. • Be based in Leeds and benefit residents of Leeds. • Activities to address local issues such as loneliness/social isolation or mental and physical ill-health. This could be achieved through events or activities aimed at increasing awareness or by setting up local support groups. • Activities to improve the environment. This could include activities such as creating new community gardens or ponds, planting edible gardens or community orchards, litter picking activities or developing a sensory garden. • Skill sharing or exchange sessions. This could include language classes, music or dance lessons, sports coaching or arts and crafts sessions. • Activities for people from different backgrounds and/or ages etc. to get together. This could include events based on eating together, intergenerational music/singing sessions, community fun days or book and board game clubs. • Events targeted to specific groups. These could include events aimed at families, social support groups, independent living groups, homeless groups, walking groups or parent and toddler groups. • Activities that promote political or religious beliefs or are sponsorship/fundraising events. • Individuals, groups or activities based outside Leeds. • Funding for activities that have already happened or would happen without the funding. • Applications from private sector businesses or statutory organisations. • Activities that will only benefit a very small number of people. • Applications from organisations that have an income of over £2,500 in the last financial year. Members of established organisations can apply if they can evidence that they are planning a defined activity that fits the scope of the Fund. To apply please complete the online application form available via the link above, or upload a short video that answers the questions asked. We ask for a reference, from someone who is aware of your plans, such as a community development worker, local third sector (charity) worker or your local councillor. This is a rolling programme, so applications can be submitted at any time. At the start of each month, we will assess all the applications received in the previous month, and aim to get back to you within the first two weeks of the month after your application is submitted (although during busy periods it may take longer). Successful applicants will be asked for feedback in the form of a video, photos or short stories to show how the grant has benefitted people in your area. 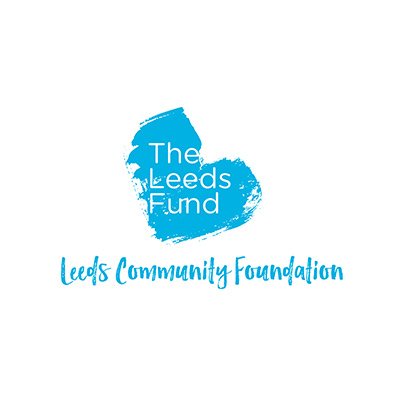 Find out more about The Leeds Fund.